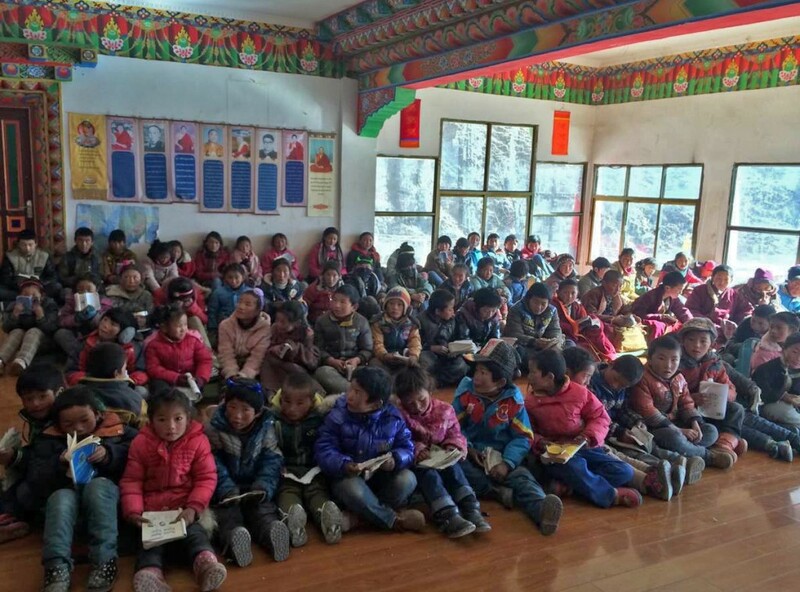 The Konchok Foundation provides financial and other resources for nourishing the rich dharmic and secular culture of Surmang, especially rebuilding the Surmang Shedra, or monastic college, and operating a Children’s Education Program. We also provide some financial support to the Twelfth Trungpa, Chökyi Senge Rinpoche, the current abbot of Surmang, and a number of monks who are undertaking extended group meditation retreats in the area, and to the nuns at Wenchen Nunnery, operated by Karme Senge Rinpoche, the nephew of the Eleventh Trungpa, Chögyam Trungpa Rinpoche. The Surmang region and monasteries in eastern Tibet have, for many centuries, been the home of the Trungpa tulkus and a major place of practice for Tibetan Buddhism. In the late 1950s, Chögyam Trungpa Rinpoche left his spiritual home at Surmang and escaped into exile in India and later to the West. The practice of Buddhism was forbidden for many years and the Surmang monasteries and the original shedra were destroyed during the Cultural Revolution. Chögyam Trungpa Rinpoche became one of the first and most influential teachers of Tibetan Buddhism in the West, founding the Shambhala network of contemplative centers. Sakyong Mipham Rinpoche, successor to his father as the head of the international Shambhala community, has now accepted major responsibility for rebuilding the Surmang Shedra, working closely with the people of Surmang. Crucial elements of his vision for monastic and lay education are the Surmang Shedra and Children’s Education Project. The Konchok Foundation was founded in 2001 by Sakyong Mipham Rinpoche together with Lady Diana Mukpo, widow of Chögyam Trungpa XI Rinpoche, the late abbot of Surmang. “Konchok” is a Tibetan word meaning “rare and supreme” and has been chosen as the name for this project in honor of Lady Kunchok Palden, the mother of Sakyong Mipham Rinpoche. The multi-year shedra reconstruction effort began in 2004. In 2008, we launched the Children’s Education Program, and the program has run successfully since that time. The shedra complex was sufficiently complete to permit use by the children during permitted times beginning in September 2010. Since then, we have also run a pre-shedra academy for young monks in the shedra complex as well. It is anticipated that the Surmang shedra will commence programs for adults in the fall of 2015. 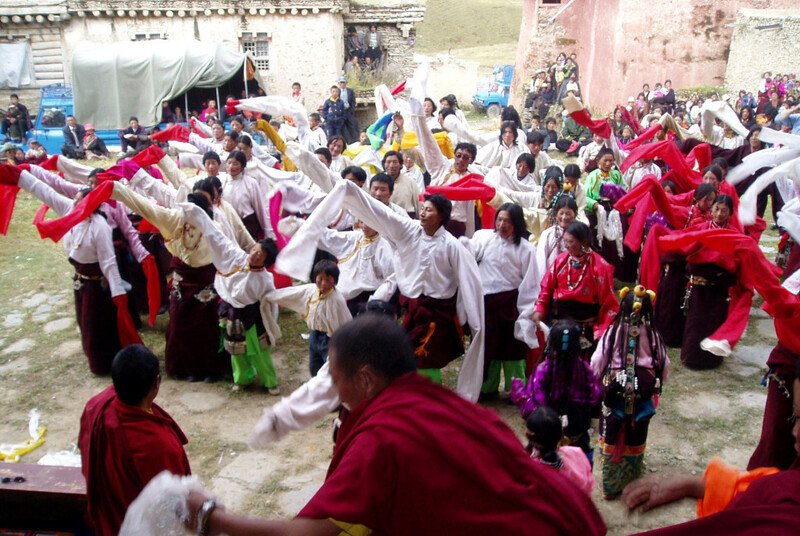 Beyond the specifics of these efforts, the Konchok Foundation is helping to initiate a remarkable coming together between two communities of people, Tibetan and Western, who share a common dharma lineage tradition but are distant from each other geographically and culturally. Numerous exchange visits have taken place during the course of the project.